The MC‑3+ Smart Clock USB, MUTEC’s exceptional Audio Re-Clocker, audiophile USB Interface & lowest Jitter Master Clock, has been awarded with a prestigious award in the "digital" category by the editors of the German Fidelity magazine. 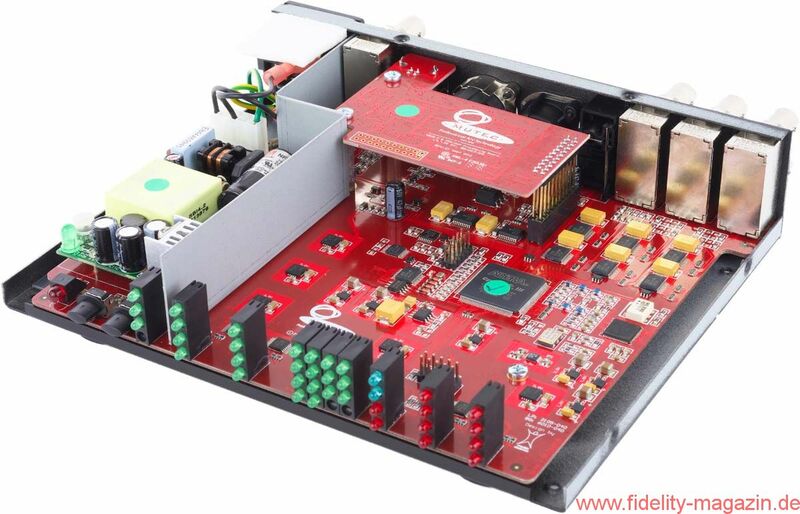 The newly created Fidelity Award highlights those audiophile products that stand out because of their technical excellence, the ingenuity of the developers, or the high-flying sonic qualities. The award and its categories were inspired by the renowned RIHPA (Rocky Mountain Audio Fest International HiFi Press Award), but with a unique twist that puts those products on the pedestal that arguably haven’t received international recognition. The award’s three ratings, "smart", "premium", and "superior", provide a context with respect to budget and allow for a fair presentation of a wide spectrum of high-end products. On the list of award winners MUTEC’s MC‑3+USB joins products by manufacturers such as NAD, Dynaudio, Lehmannaudio, Bowers & Wilkins, and more. In their assessment of the MC‑3+USB the editors of the Fidelity magazine commend the sonic qualities of the device in addition to its versatility: "The sonic gain that the MC‑3+USB provides as a central hub, format converter and master clock in the digital audio environment is immediately obvious and convinces even the sceptics." MUTEC’s CEO Christian Peters comments: "The recognition with the Fidelity Award is a great honor for us and serves to reaffirm the fact that the sonic benefits of MUTEC’s digital audio products have established themselves in the audiophile community. We’d like to thank the Fidelity editors for this accolade very much!"